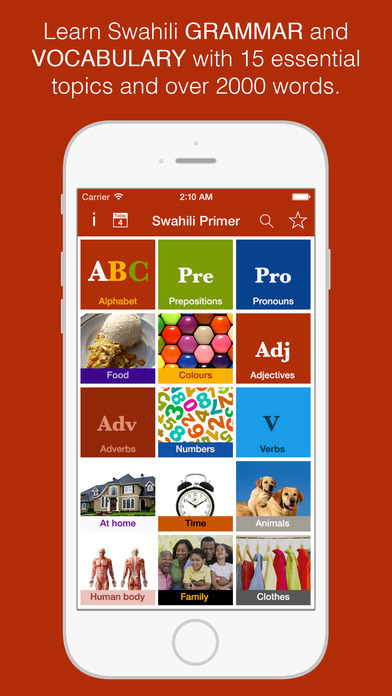 If you want to speak and write Swahili language Swahili Primer is the most comprehensive Swahili audio training language course on the iPhone and iPad. Learn fifteen exhaustive topics to get you from a complete beginner to an intermediate speaker as quickly as possible. Some of the topics include, Alphabet & Digraphs, Prepositions, Pronouns, Tenses, Telling Time, Human body etc. 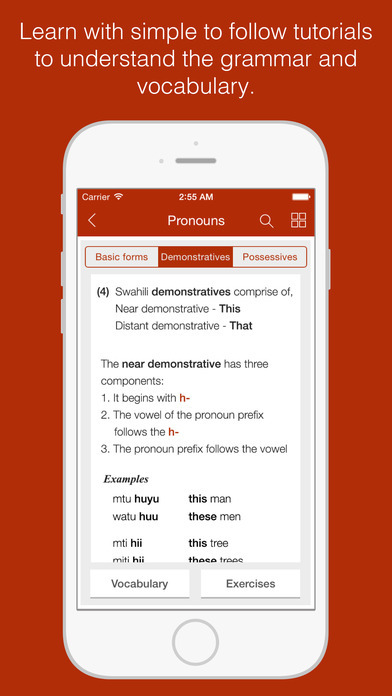 Start learning from the Alphabet and progress to Prepositions and so on. Your current topic is built on previous topics. You should proceed to the next topic after you complete the two challenges presented in your present topic. 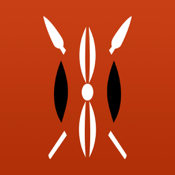 You will learn the Swahili grammar rules and tips with a lot of example words and sentences under all the 15 topics. 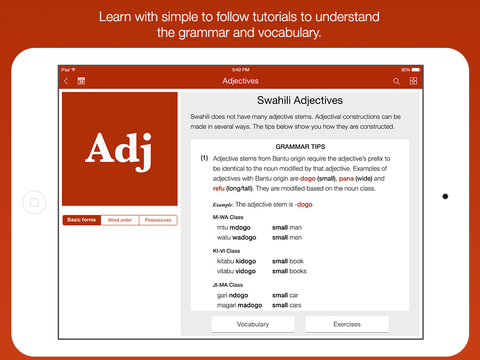 Each topic presents you with a list of words and example sentences with audio. This is to help you grasp the pronunciation. 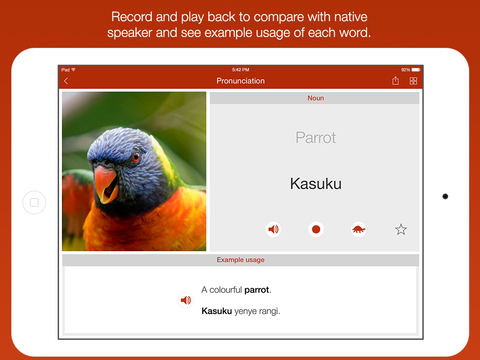 Play and listen to each one and record and compare with the native pronunciations. Each topic is evaluated with two challenges; Fill the Gaps and Listen Carefully. You should do these challenges when you've learned enough under each topic. If you are feeling generous with your time please take a moment and let me know what you think of the course. 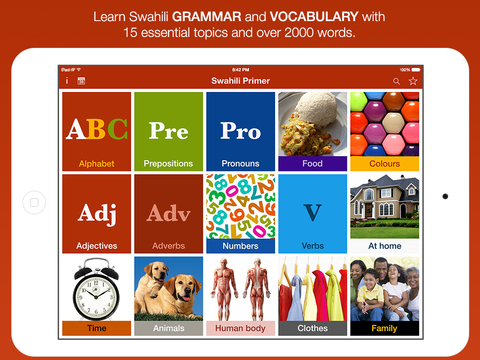 I really hope that Swahili Primer will help you to get up to speed with learning Swahili.